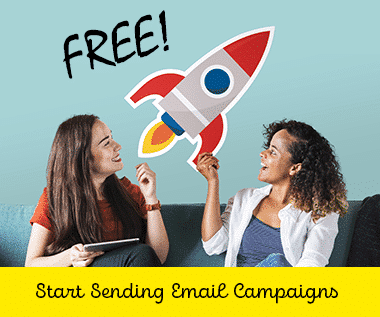 Email Marketing 101 – What Makes An Email Viral? 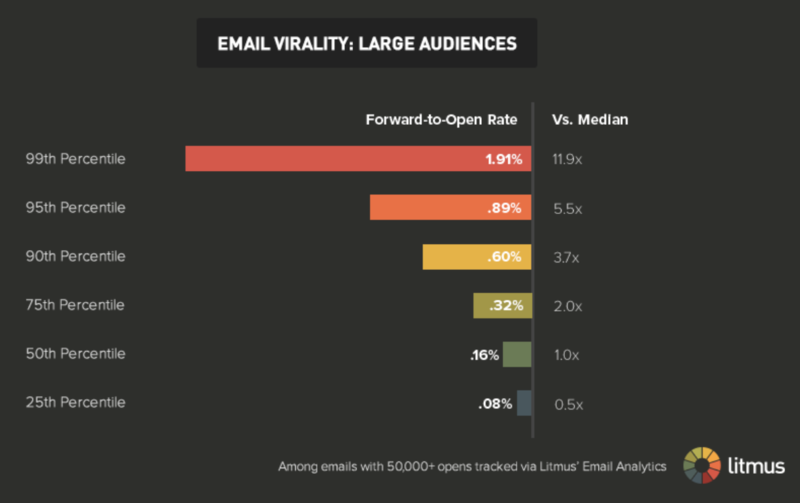 Recently, our buddies at Litmus came out with a really awesome report called ?the Viral Email.? 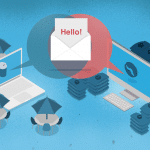 It delves into why and how an email goes viral. Why is this important? Well… according to the ?Connected Consumer? report, though more consumers are reached via Facebook, more new visitors are reached through email (even more than the combined efforts of Twitter and Facebook). Via the Litmus report, ?There are a couple reasons for this, ?First, Social referrals don?t demand action? and flow through a person’s timeline without ever being seen … And second, social network connections tend to be weaker, more casual relationships.? In comparison, email ?inboxes are more like to-do lists where emails wait for action to be taken? and ?email forwards tend to be hyper-targeted and therefore the content of the email is highly likely to be relevant to the recipient.? On top of that, people trust the people they know. That said, here’s a little background about their study: From January 2013 to March 2015, Litmus – using their analytics Email analytics platform – examined ?the forwards generated by more than 400,000 commercial email sends with at least 500 opens.? 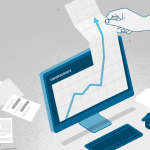 They calculated the forward-to-open rate which allowed them to establish benchmarks. But they didn?t just stop there, Litmus examined 200 email that were in their ?top 1% of viral emails,? and 200 emails from the 50th percentile. Specifically, they took a look at ?tactics, topics, and other elements.? But, let’s move onto some of the highlights/findings in the Litmus report. 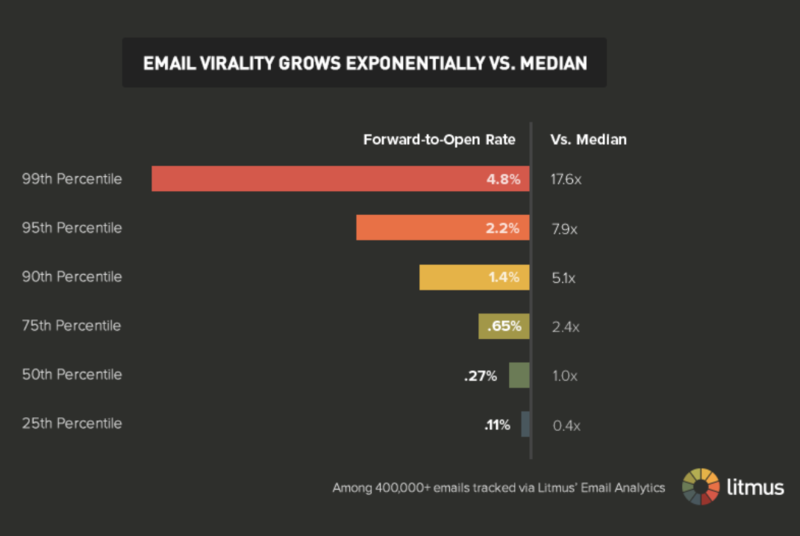 Taking a look at the image below, Litmus found that email forwards in the 99th percentile were 17.6 times more viral than those in the 50th percentile – a huge increase over the 95th percentile which was only 7.9 times more viral than those in the 50th percentile. 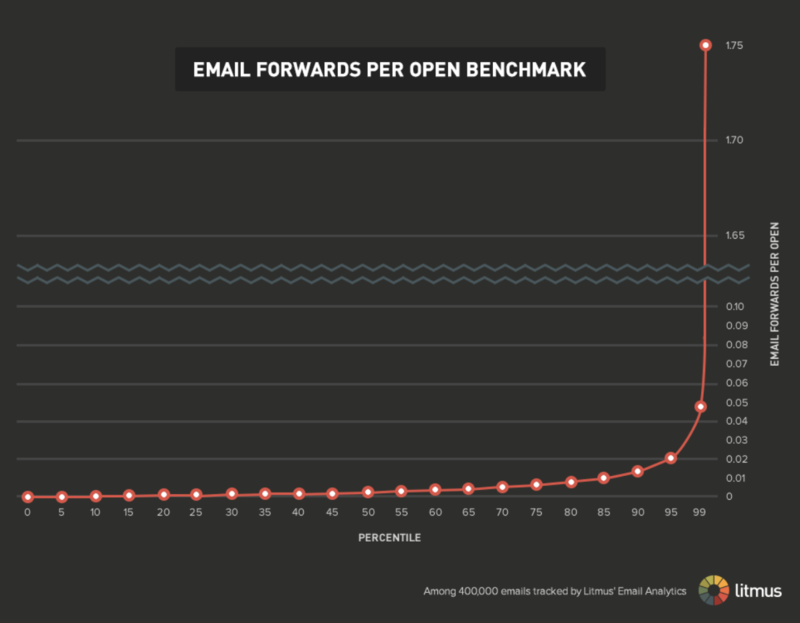 In the 1st percentile, every 21 opens generates 1 email forward. Take a look at the images below. 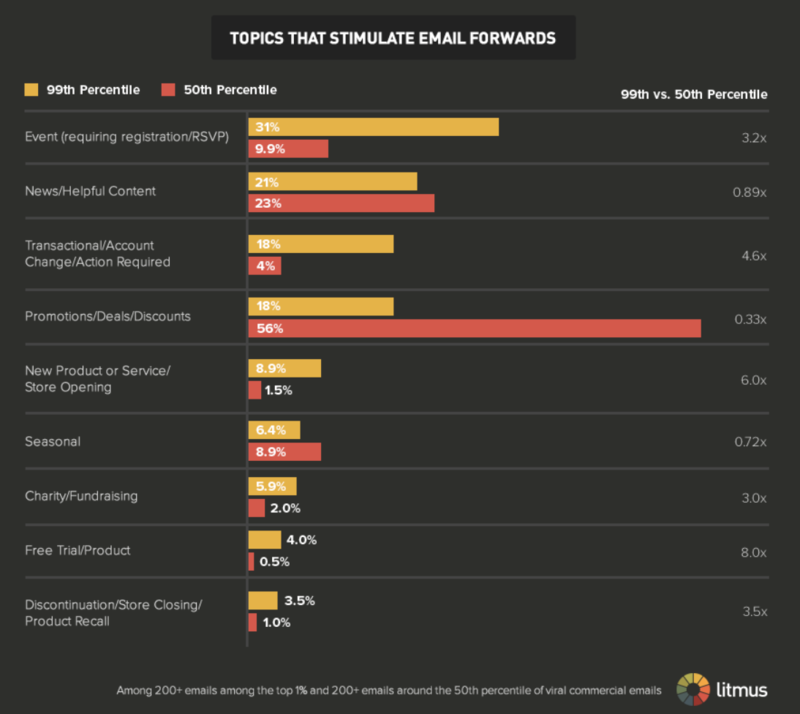 According to Litmus, forwards are a true sign of how healthy your email programs are. If your campaign experiences a lot of forwards and social shares, then it qualifies as a ‘remarkable? campaign under certain metrics. Other metrics qualify campaigns as either ?valuable,? ?functional,? or ‘respectful? – see chart below. Litmus believes that if you have a very poor forwards-to-open-rate, then you may not be delivering a deeply relevant experience to your email lists. In other words, an email needs to have value so that it’s worth sharing/forwarding to friends. So, the question remains? what makes an email forward-worthy? 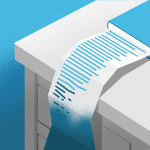 Well – according to their research, smaller list sizes have consistently better forward rates. Litmus claims that this ?makes perfect sense, as smaller audiences tend to coalesce around narrow interests, specialty products, niche services, and local attractions.? 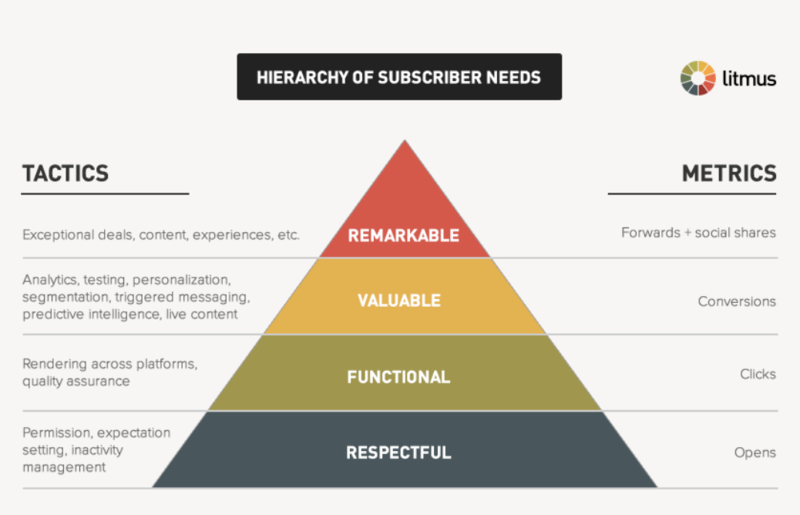 Furthermore, businesses sending out emails can more easily tailor content to smaller lists as they have a more concentrated and narrow focus, whereas ?email content with mass appeal is clearly viewed by subscribers as less worthy of being forwarded.? See the graphics below for more details. While it seems like smaller companies might have the advantage in the social shares + email forwards game, larger companies with bigger email lists can combat this issue through segmentation. Litmus found that through segmentation and triggered messaging, larger audiences had comparable forward-to-open rates to smaller lists. Another contributor to forwards is personalization: of the 1% of the most viral emails, 8.9% of them were found to have personalized content. In fact, viral emails in the 99th percentile ?were 4.5 times more likely than the typical email to include personalization.? There were big differences in what stimulated email forwards between the 99th percentile and the 50th. Emails about ?were 3.2 times more likely to be about an event (in the 99th percentile) than emails in the the 50th percentile. Promotions, although extremely likeable by email recipients, were 67% less likely to be in the 1% of the most viral emails. When it comes to virality – Litmus has three suggestions for you? 1) Target a niche audience – ‘regardless of the size of your business, develop an array of triggered emails that deliver the right content to the right subscriber at the time when they’re most receptive to it? ?Targeted messages are generally at least 90% more viral than untargeted messages.? As an aside: DirectIQ’s scenario campaign, has you covered for triggered emails. 2) Create highly shareable content – ?promotions and helpful content are staples of email marketing, so subscribers are only driven to forward those that are truly great?. people love things that are new and free? and subscribers clearly feel good about sharing charity efforts with others.? 3) Spur forwarding – ?When appropriate, include a prominent ‘share with your network (SWYN) call-to-action, as this will increase forwards as well? and consider directly asking subscribers to forward the emails to others.? Download the full LItmus report here.